Today we’re pleased to announce the launch of Shop Jurassic, your one-stop-shop for all things Jurassic World and Jurassic Park on Amazon.com. You may have noticed the banner ads on our site leading up to our latest Collect Jurassic platform going live, and this weekend we are officially open for business! This curated Amazon storefront contains certified Amazon listings of everything from toys and collectibles to apparel, books, games and much, much more. All products offered are official Jurassic too—no knockoffs or third party merchandise. 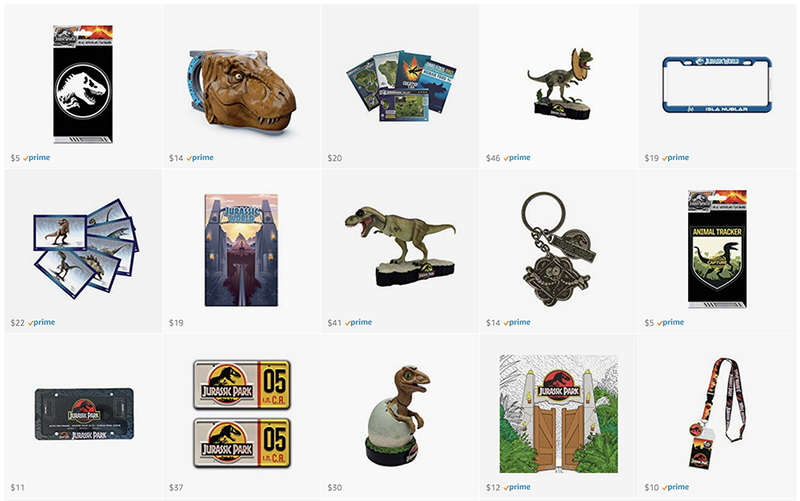 Whether your looking for yourself or for the Jurassic mega-fan in your life, Shop Jurassic’s gift guide format has you covered with easy to shop categories and high resolution photos. And you can shop with confidence, knowing all orders are fulfilled through Amazon’s dependable distribution network. We’re still adding new listings weekly, so make sure to bookmark Shop Jurassic and keep checking back for the latest and greatest Jurassic goods!